I remember walking to my local Illamasqua stand a few months ago for the first time and falling head over heels at the sight of the beautiful array of strikingly bold lipsticks. There was every colour in the rainbow from exotic oranges to bright greens. It was from that point that my love affair with Illamasqua began. I was in Manchester recently for a bloggers event and to kill time I headed over to the Illamasqua counter in Selfridges. On a friends recommendation, I thought I would try Skin Base, Illamasqua's top selling foundation. Skin Base is a brand new formula that is nothing like you would see at other beauty counters. The foundation blends easily and leaves you with a flawless complexion, which looks like you are wearing no makeup at all. The foundation range is suitable for all skin types and it promises to smooth, soften and condition your skin whilst building coverage. I love Skin Base. Skin Base is the first foundation that has left me with a natural effect instead of a slightly orange glow. Skin Base is £27.00 which I think is reasonable because a little goes a long way and you only need a 50p sized amount on application. After picking up my Skin Base, my thoughts turned yet again to their lipsticks. I have countless bright pink lip products, however this one caught my eye.This lipstick shade is Glissade and it is from their new Glamore range. For the first time Illamasqua has brought out a few satin finish lipsticks straying away from their trusted matt finishes, the Glissade is one of them. I love this colour as it suits my complexation and makes a great everyday lipstick as it is not too bright. I have had quite a lot of compliments wearing the latest addition to my Illamasqua collection. 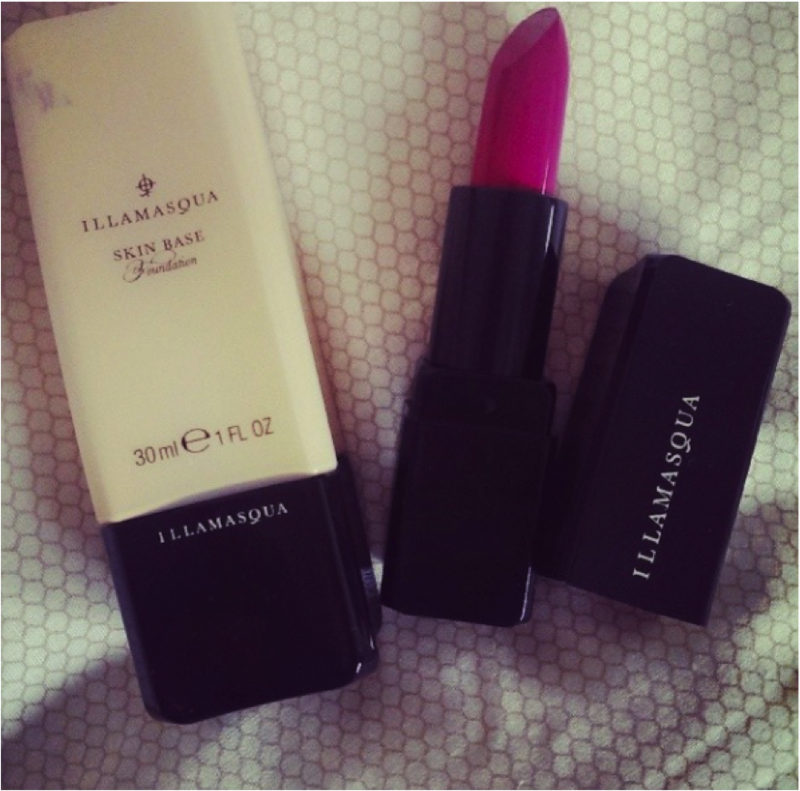 Have you shopped at Illamasqua recently? That lip colour looks gorgeous on you!